We use prepositions so much in our daily speech but we often take these things for granted. Most of the time, it results in misuse of English prepositions or interchanging our ins and ons and ats. Therefore, a clear grasp (or a working knowledge at the very least) of English prepositions is in order before we could thoroughly learn about its French counterparts. We operate on the premise that before you can take on another language, you have to be familiar with your how your very own language works first. So on that note, let’s take a quick look at what prepositions are in the English language. Prepositions function as linking words that show the relationship between the other words in the sentence. Prepositions help put into perspective the time and place of a certain topic. These include the words at, to, from, for, with, into, between, beside, under, within, and several others. Prepositions are followed by a noun, a pronoun, or an English word that ends in -ing. It’s made for handling food. Prepositions are used before a noun or a pronoun. Prepositions can also appear after some adjectives, linking it to the rest of the sentence. In English, it is quite common for informal sentences to end in a preposition (though this is considered bad grammar), but in French, it is never allowed. Prepositions can have an object, but it can also be optional in some cases. Some prepositions consist of more than one word. 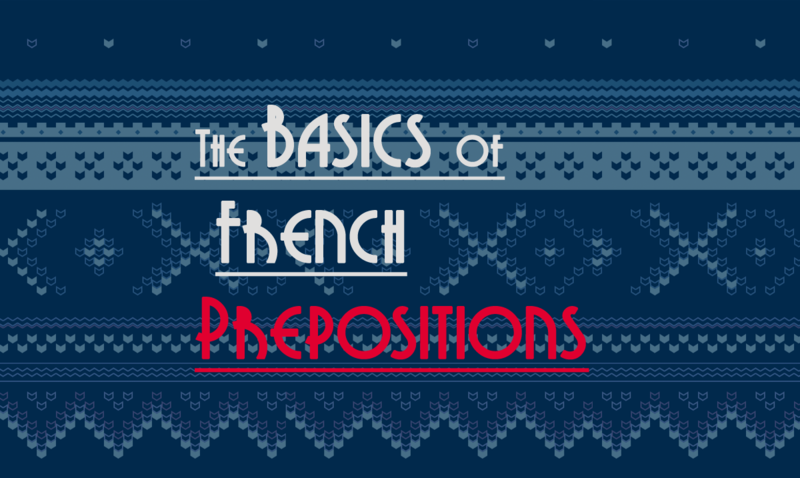 In French, just like in English, the actual usage of some prepositions can be idiomatic. This means its use could often vary depending on the sentence itself. There is no actual 1:1 translation of English and French prepositions. The best we can do is learn the words which are more or less their equivalents. à at, in, on, to •	This is not to be confused with the il/elle/on form of avoir (il a). •	There are varied uses of à. •	à can be used with de to mean from...to. •	Other uses of à are: to describe how someone looks or what he/she is wearing, what a certain thing is made of, how something is done, mode of traveling, what a thing is used for, to tell a certain time, for distances or rates, and in common sayings and phrases. •	de becomes d' when it comes before a word that starts with a vowel, h, or the word y. •	Used with à to mean from... to. •	Used to tell who or what something belongs to. •	Tells us what something is made of. •	Tells us what a thing is used for. •	Used in phrases that refer to quantities. en in • en is never followed by articles like le, du, des. • Usually being used with feminine countries and some figurative expressions. • Can also talk about years and months and seasons. entre between, among • Entre...et means between..and in English. •	When referring to a physical motion such as going towards something, vers is used. vers towards Also applicable for use with dates to mean "in around...", "circa..."
Prepositions can be quite a headache to learn, whether in English or French. In fact, even advanced learners often experience confusion when it comes to the different prepositions and the out-of-the-box uses for some. 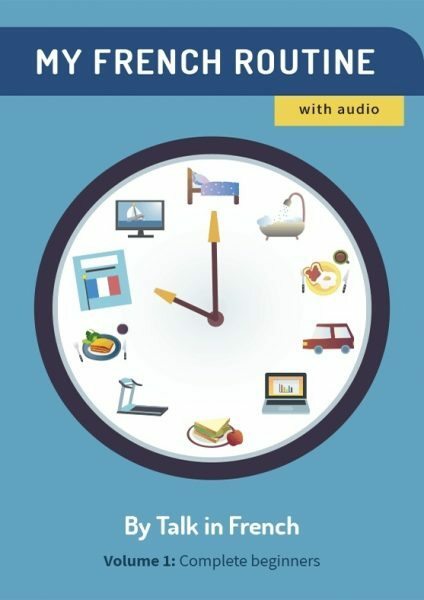 To thoroughly familiarize yourself with the proper uses of the different prepositions, we suggest that you immerse yourself with the French language through reading and listening. This way, the prepositions will come to you easier and you’ll be able to recall them faster. If you need clarifications about this topic, do not hesitate to contact us in the comment section.